Lexus has released a brief teaser video of the Lexus Hoverboard, officially announcing the date of the “magic” board’s release – 5 August, 2015. 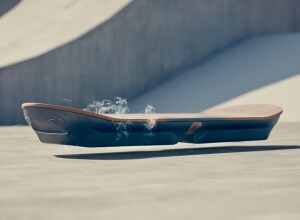 The company also revealed new images of the dynamic Lexus hoverpark where the Lexus hoverboard has been tested by test rider Ross McGouran. “The Lexus Hoverboard is almost here…When technology, design and imagination come together amazing things can be achieved. The Lexus Hoverboard represents true engineering innovation and can be seen in action soon,” said Lexus in a statement under its YouTube video. The “Slide”, a working hoverboard that uses magnetic levitation and liquid nitrogen cooled superconductors to keep afloat, was unveiled last month. The company didn’t reveal any further details about this incredible product, but we expect to be amazed at the beginning of the next month.